The Parka has been a staple of the Pretty Green collection since our first season and is now considered to be a key signature piece. Liam, tells a great story about the parka and the role it played in his awareness of the power of clothing has in transcending social barriers. He describes rocking up to a Stone Roses gig in Blackpool, sporting a yellow corduroy Yves St Laurent parka that his aunty had liberated from the coat check of the club where she worked, and feeling heads turn towards him as he moved through the crowd and the realisation that, at that moment, he was The Face. 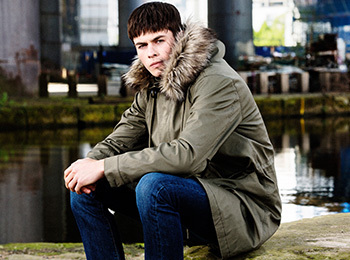 The Pretty Green Parka is modeled loosely on the famous US Military M1951 coat worn by the mods in the 1960's. It is crafted in a fine softly brushed, piece dyed, garment washed, cotton drill. It sports tone on tone embroidered logo patch on the sleeve and etched buttons. 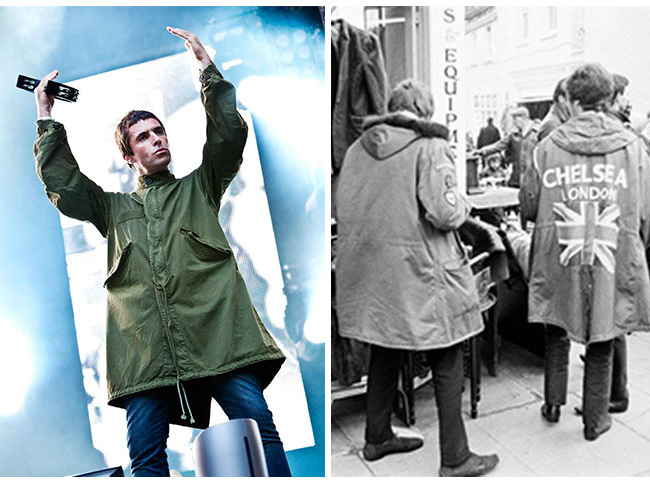 The Pretty Green Parka over the last couple of summers seems to have become the must have Festival coat with more spotted at Glasto than any other piece of branded outerwear.